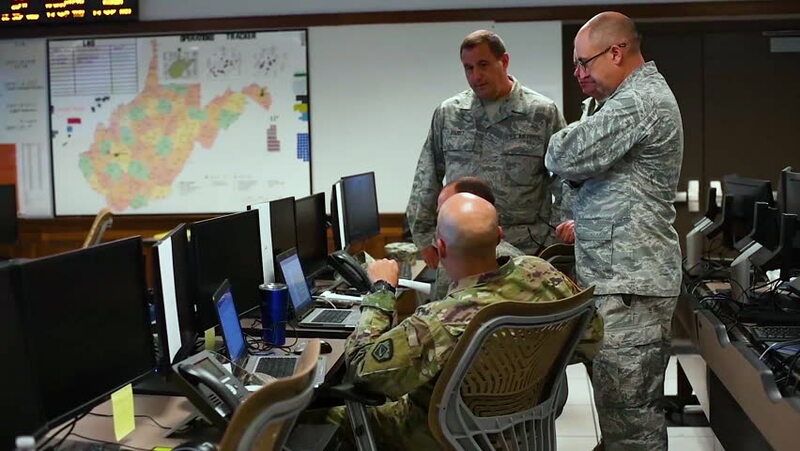 CIRCA 2018 - Members of the West Virginia National Guard closely monitor the upcoming weather events of Hurricane Florence. hd00:21UNITED STATES: 1980s: lady looks down microscope. Rat in space experiment. Man looks at bacteria on agar plate. sd00:331960s: A spacecraft is prepared for the Mercury-Atlas 5 test in 1961.